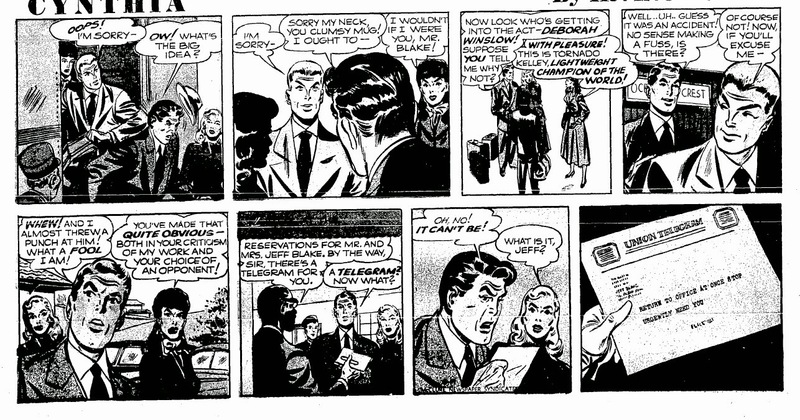 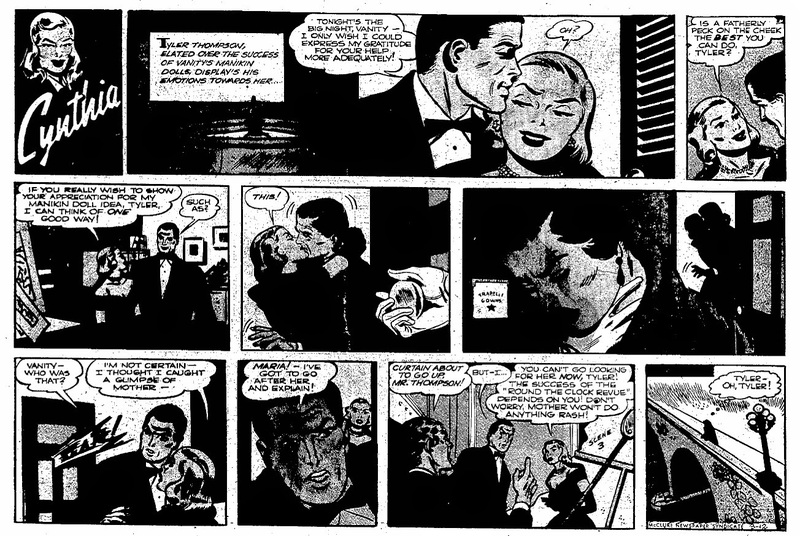 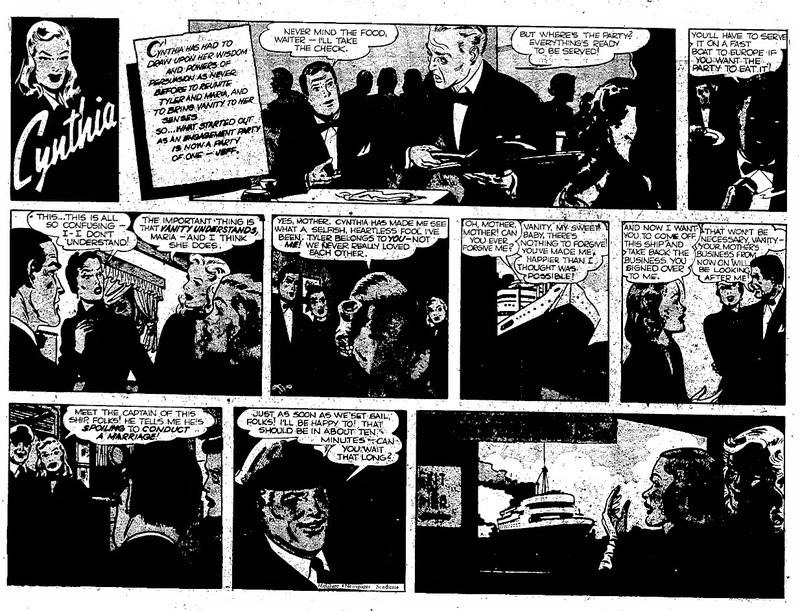 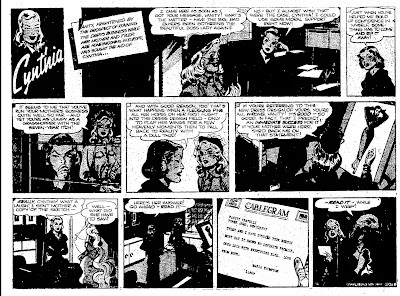 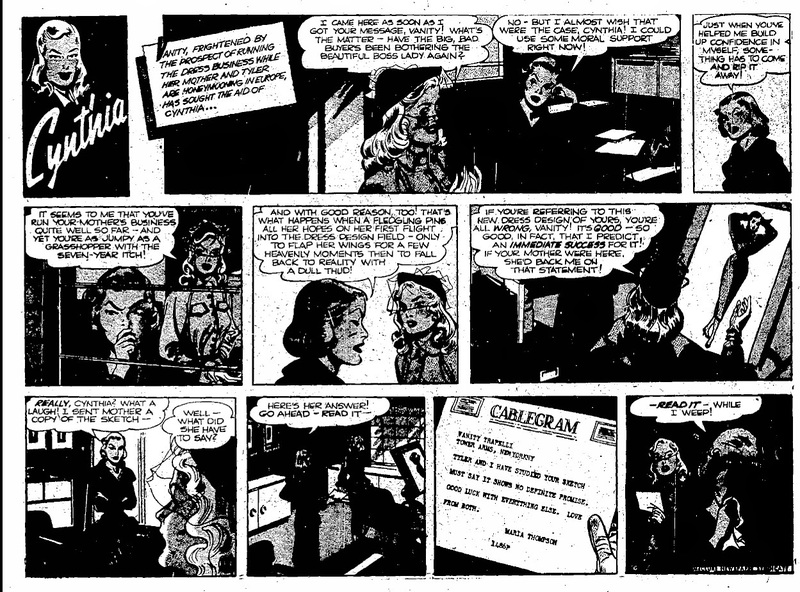 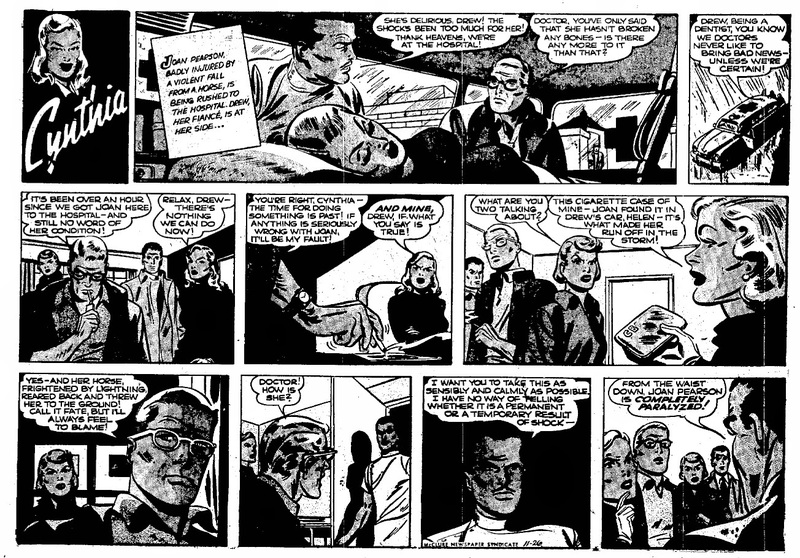 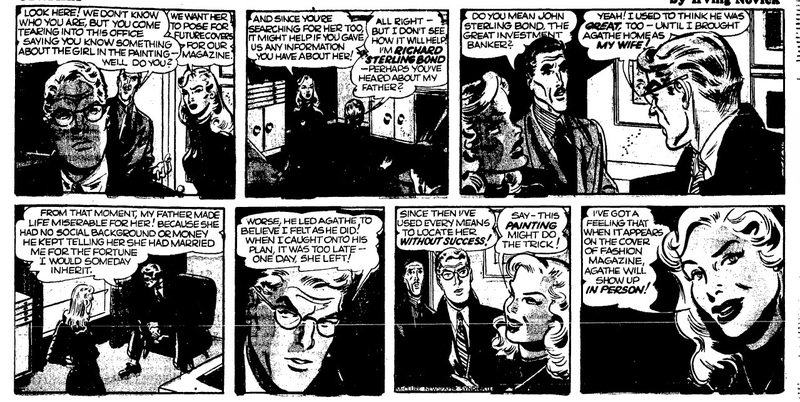 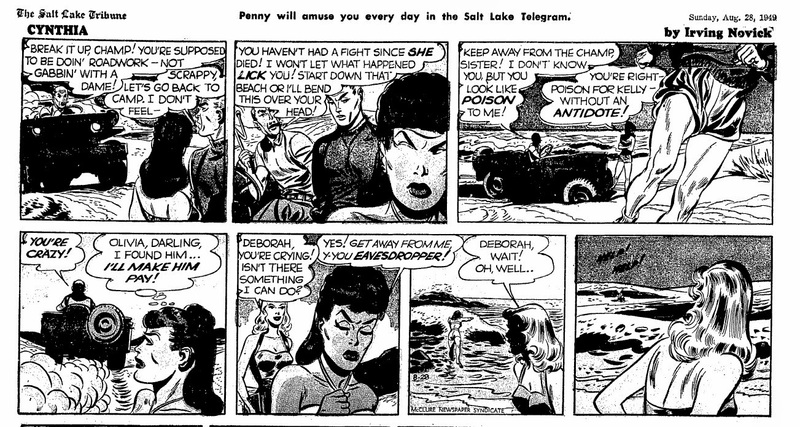 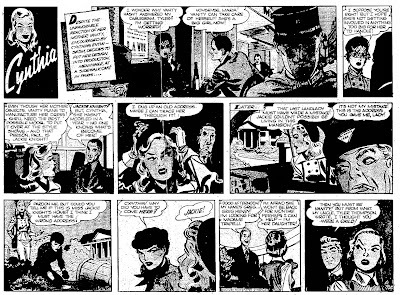 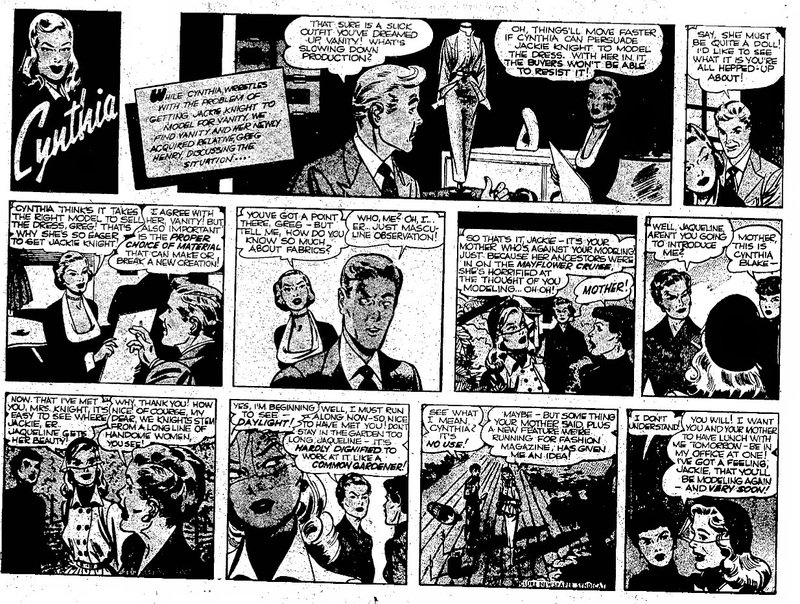 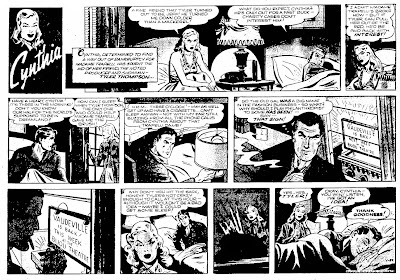 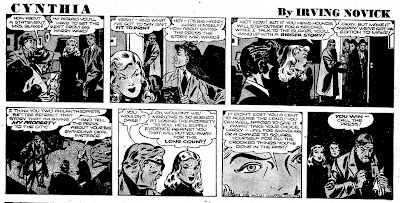 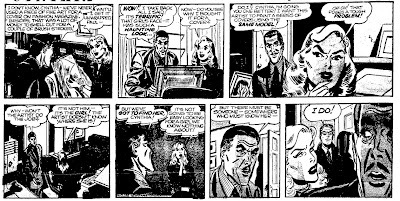 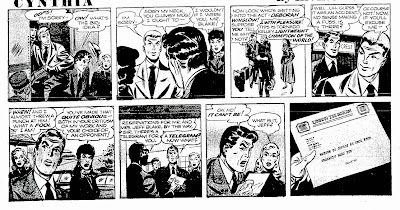 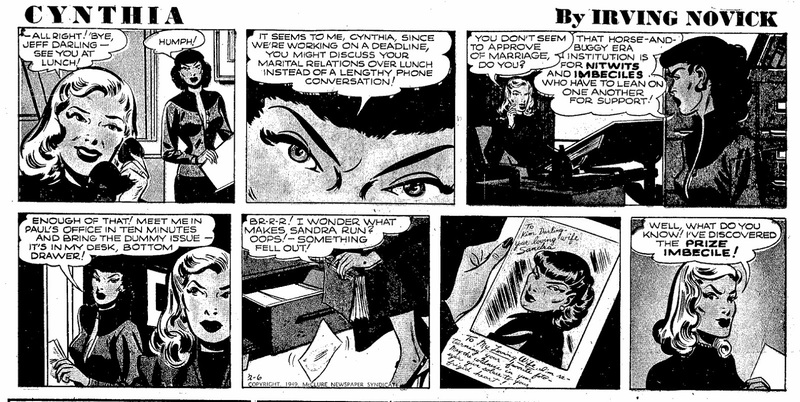 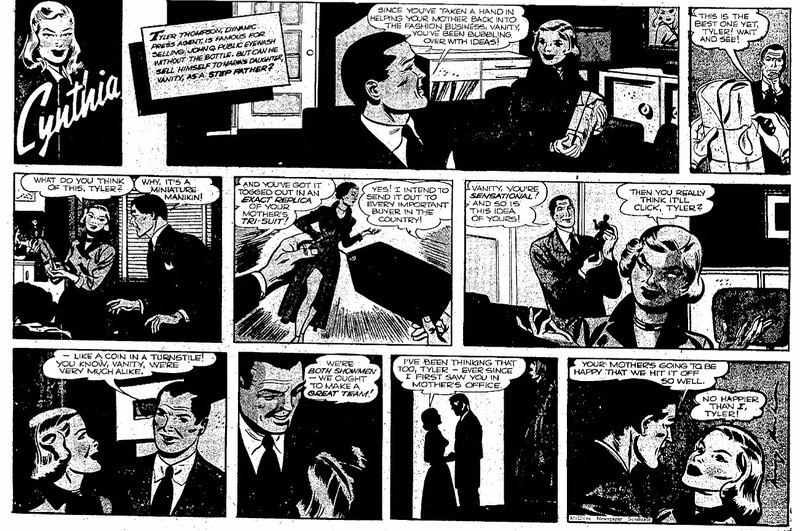 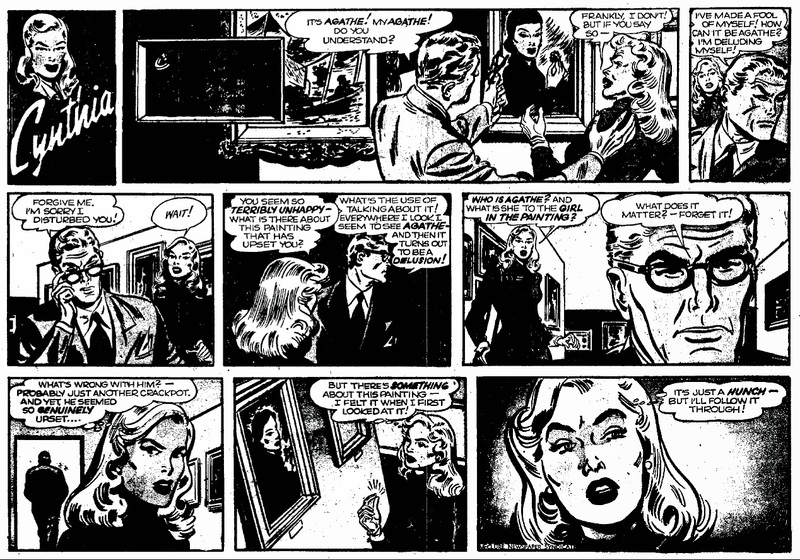 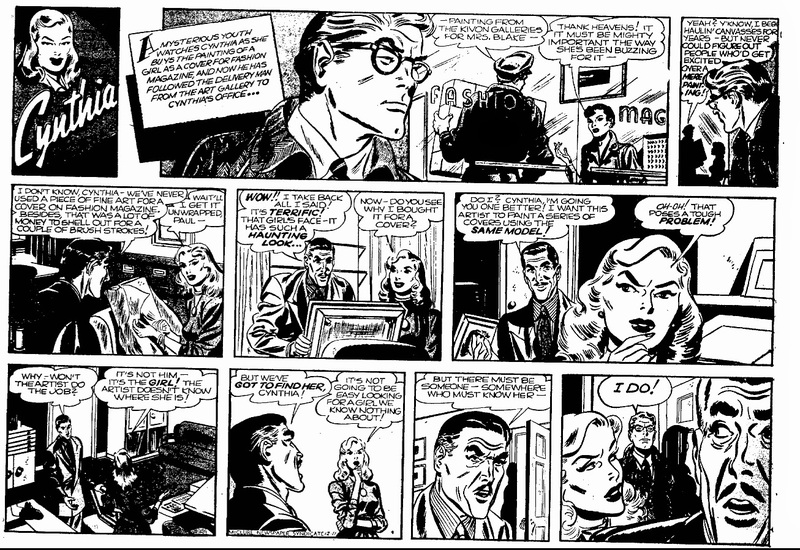 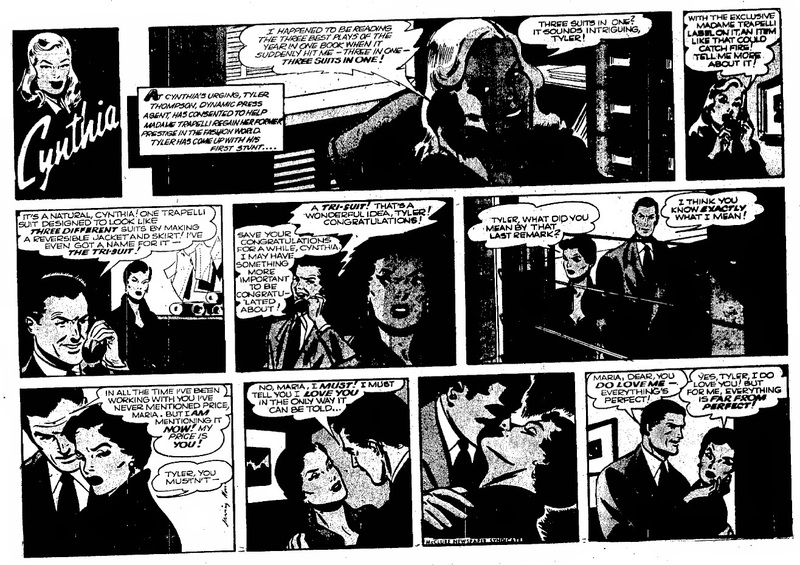 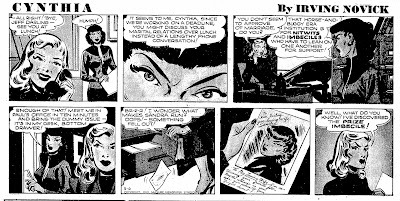 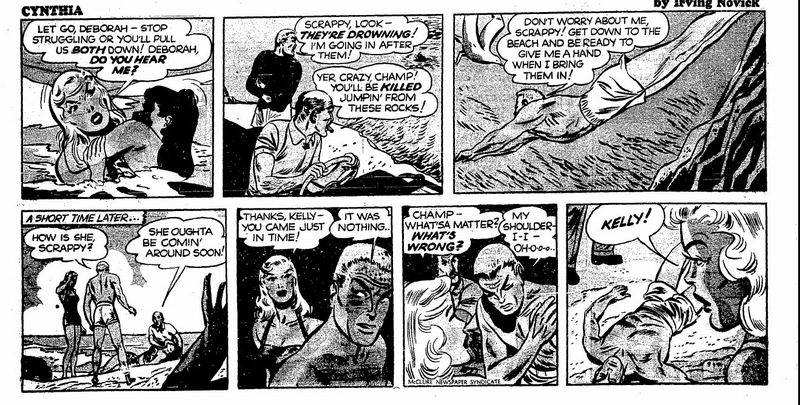 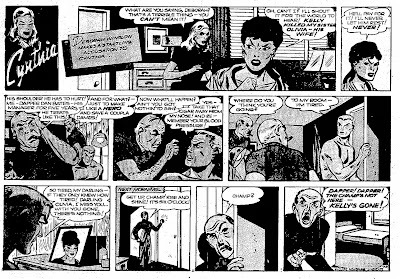 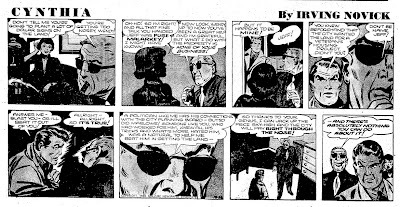 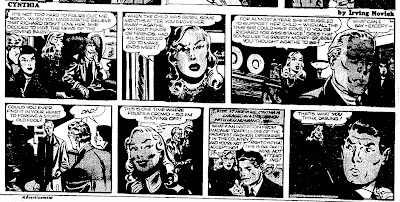 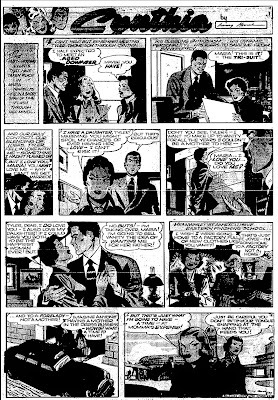 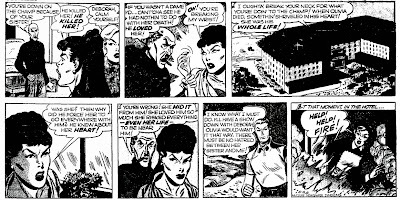 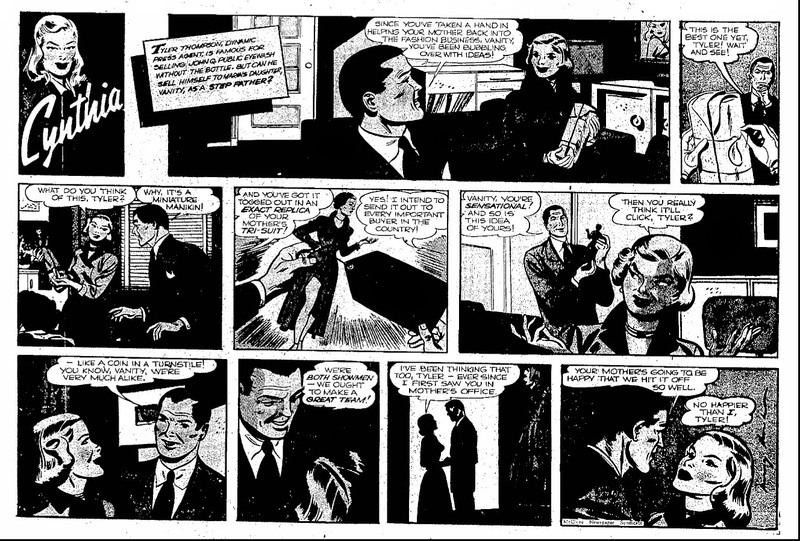 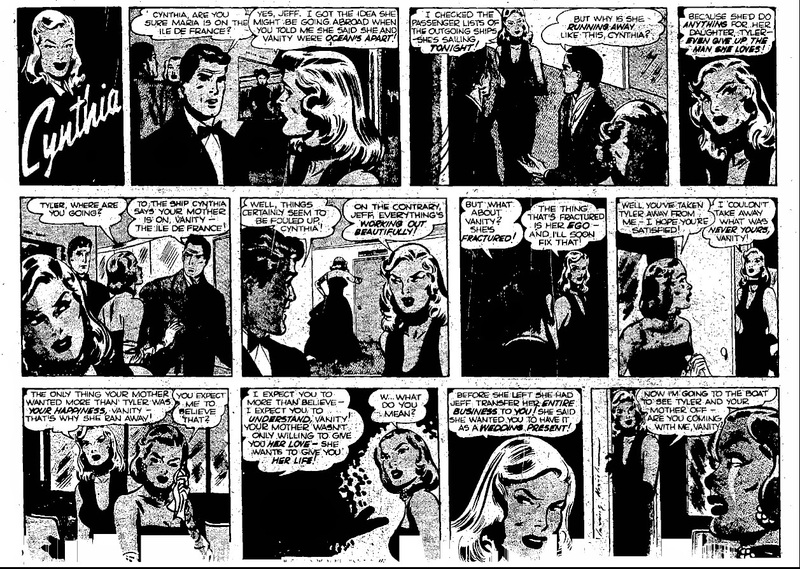 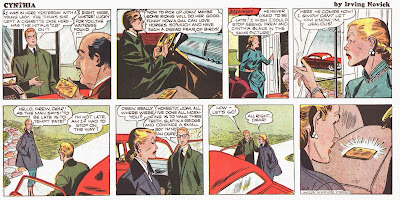 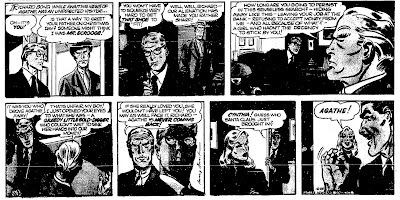 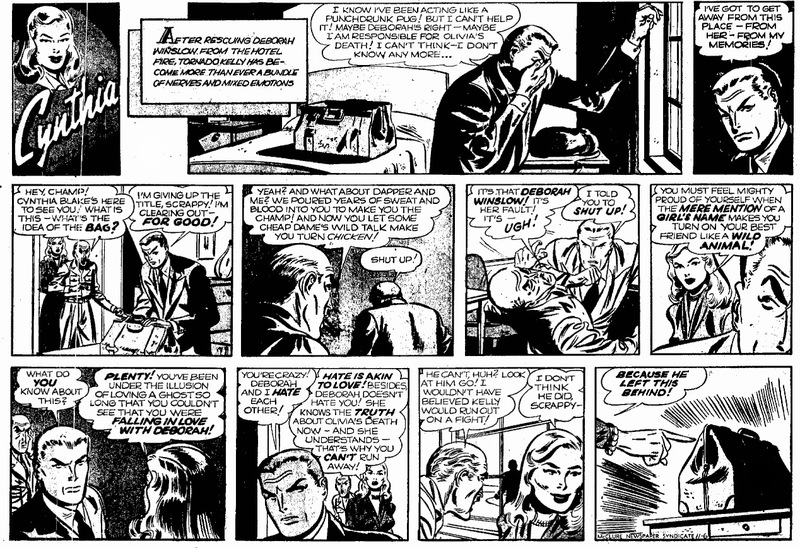 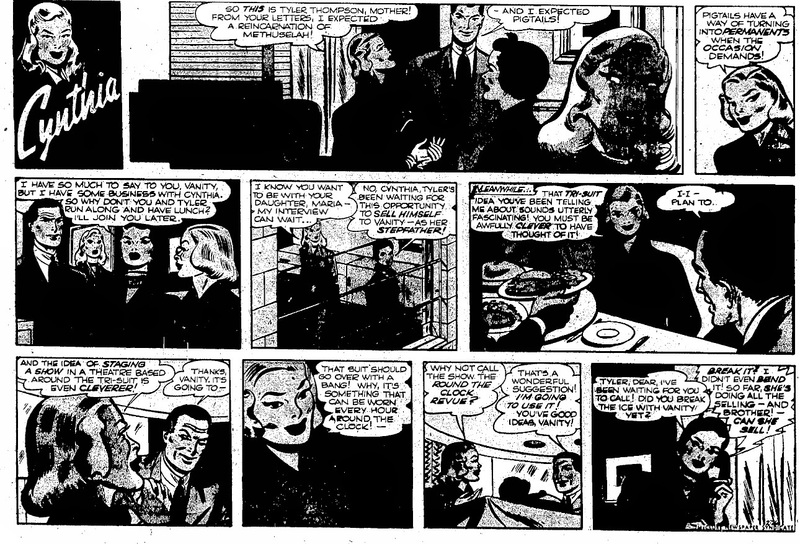 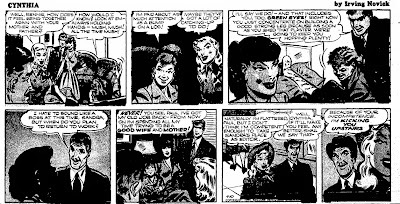 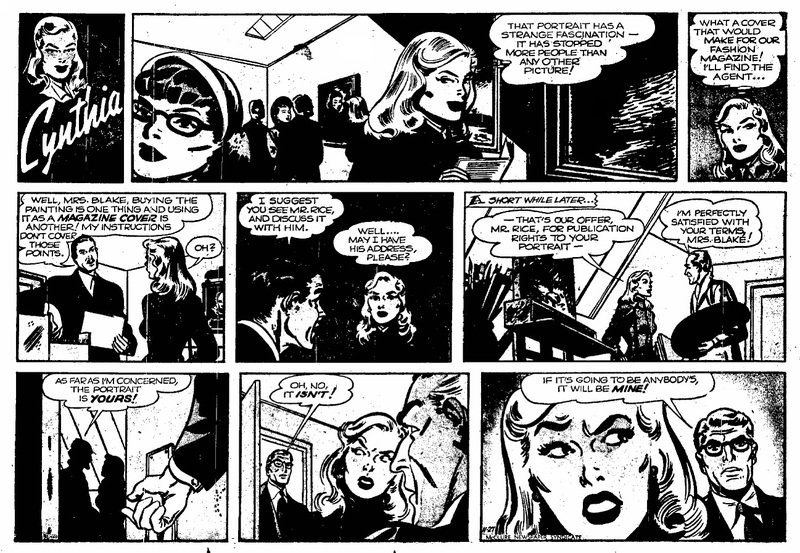 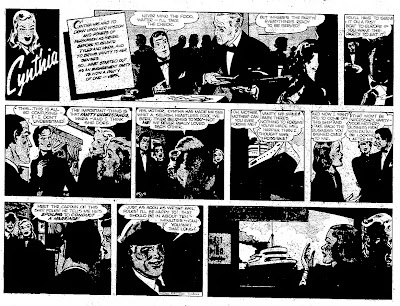 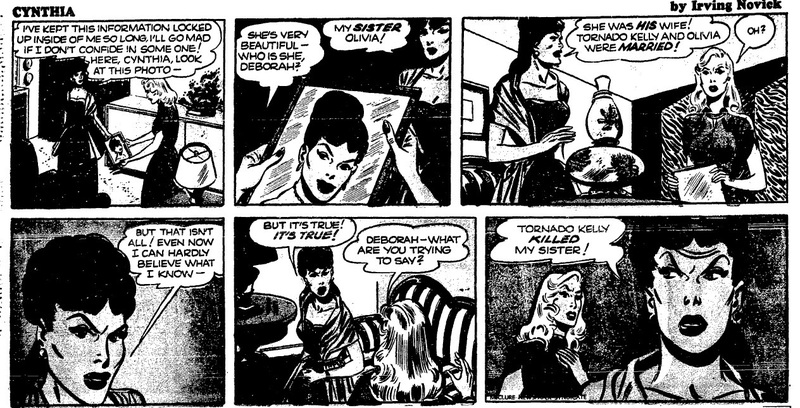 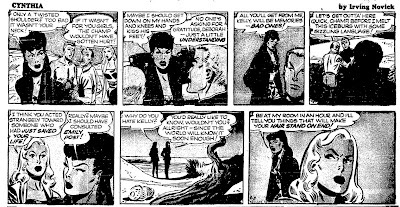 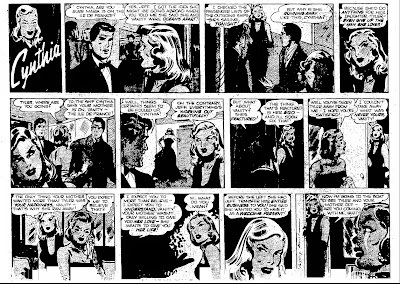 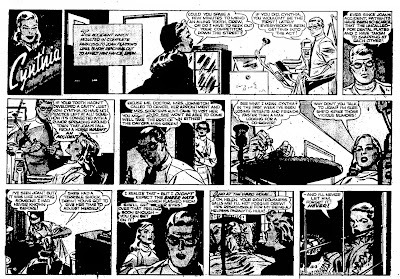 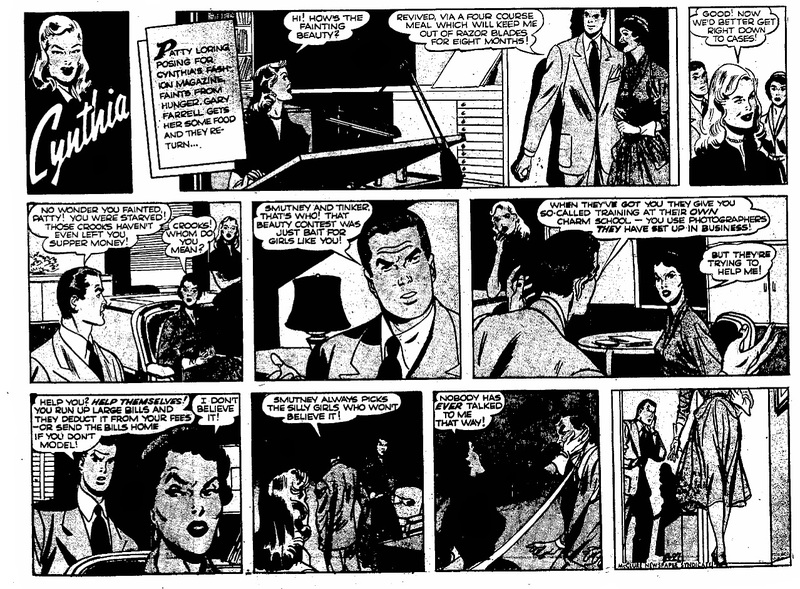 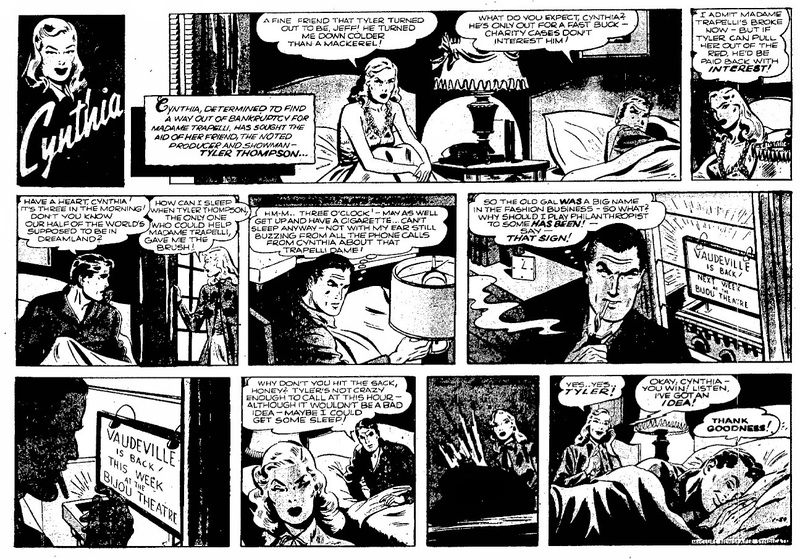 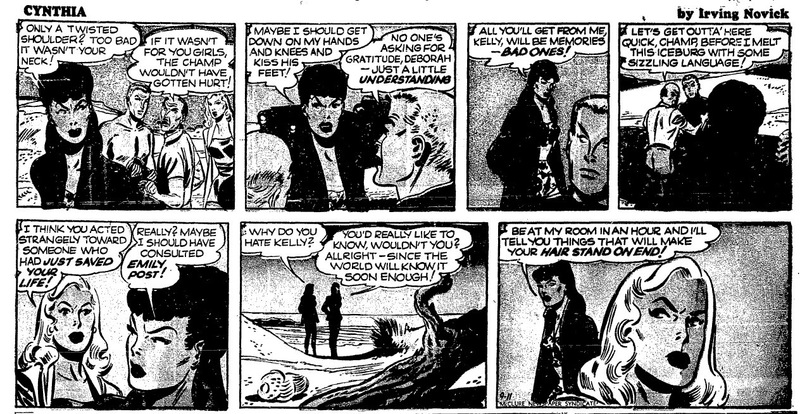 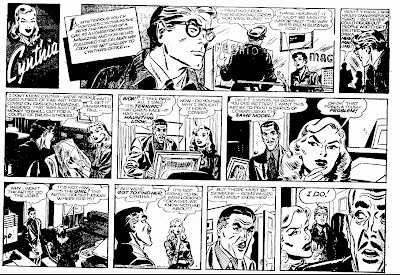 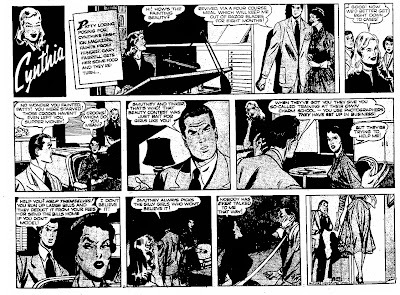 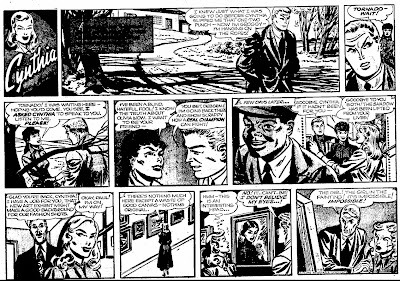 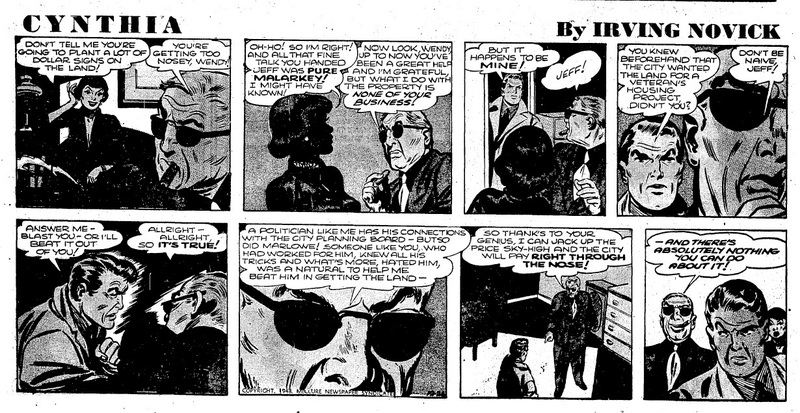 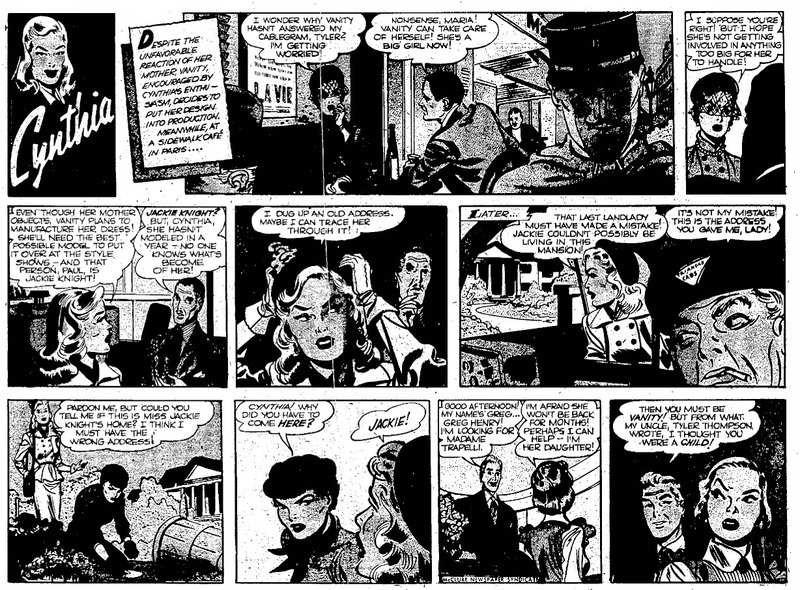 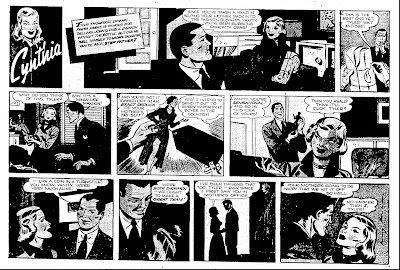 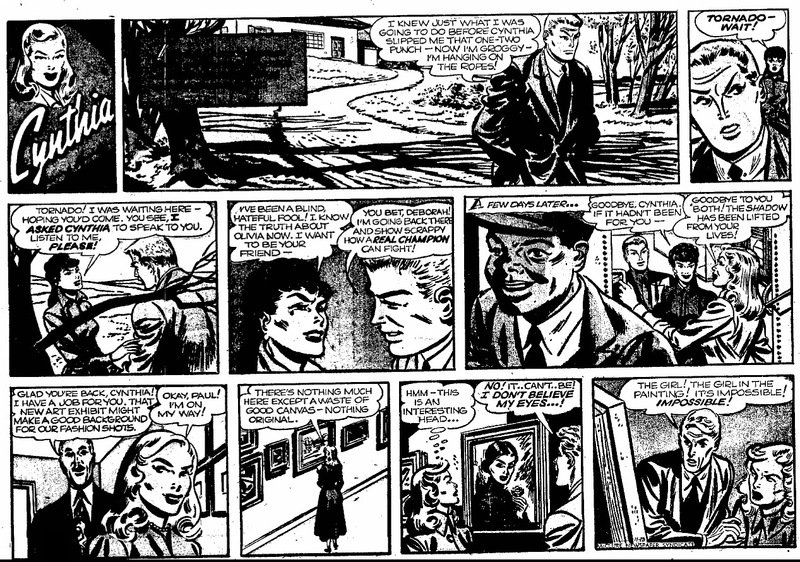 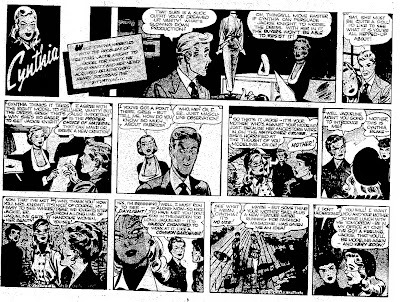 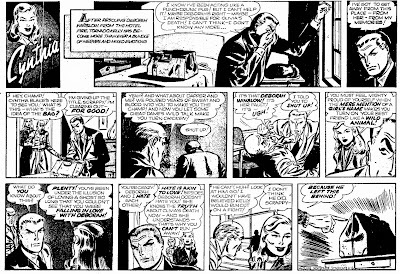 Cynthia was an early soap opera strip by the later Boy's Life and DC artist Irving Novick. 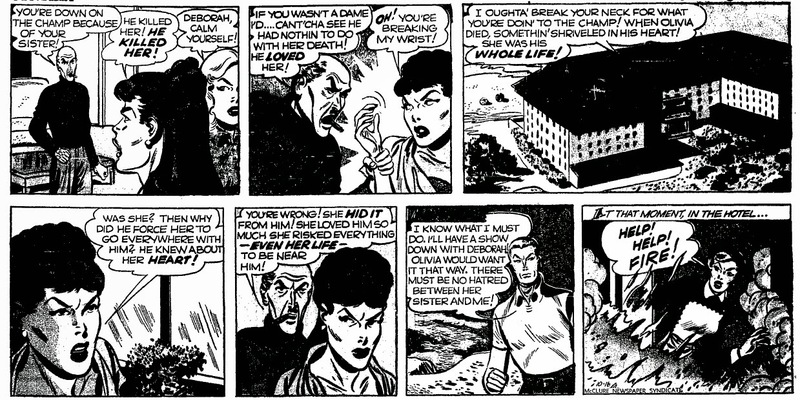 It was a reaction to the popular Mary Worth strip and together with that one of the first soap opera strips. 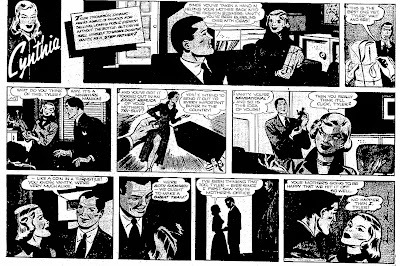 As such, it was a precursor to the romance comics boom of the late forties. 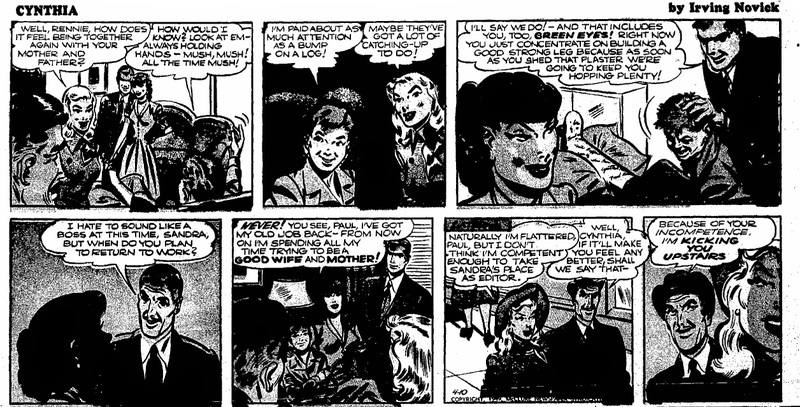 Stylisticly Novick developed beyond this Mary Worth imitation style. 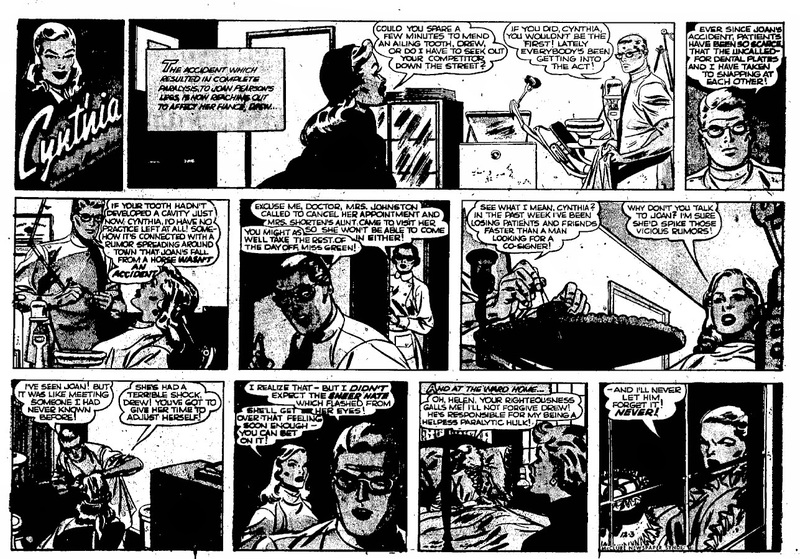 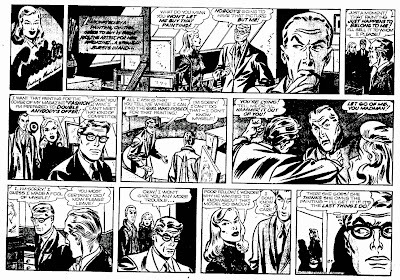 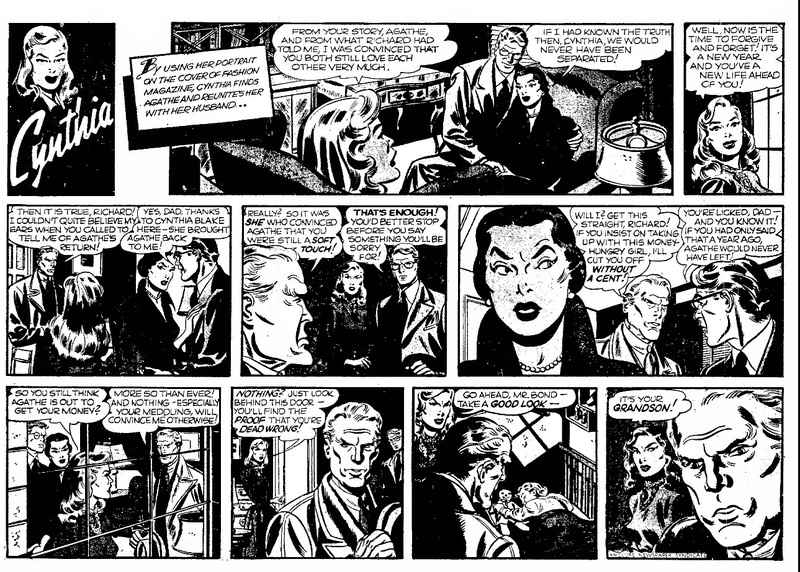 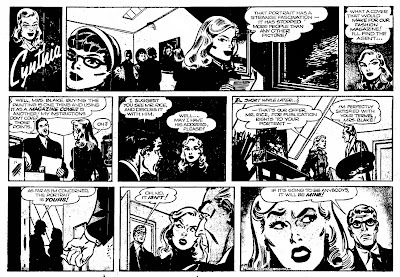 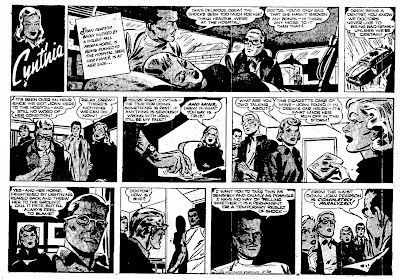 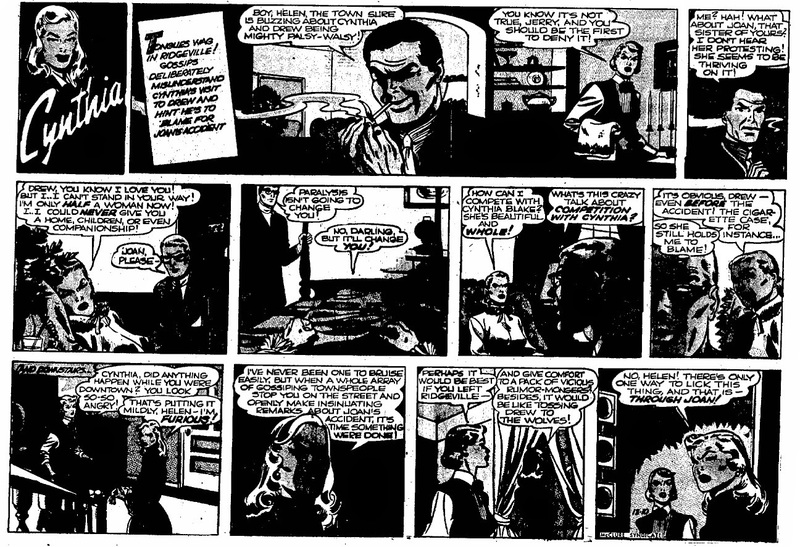 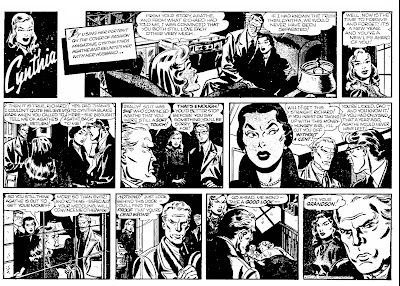 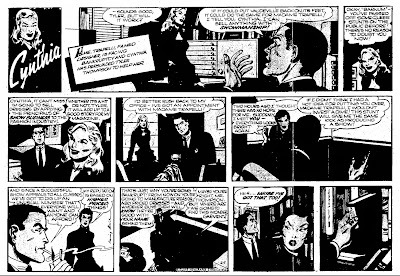 Working with Alex Toth in the early fifties he adated many of his tricks. 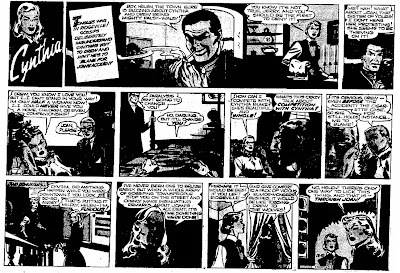 After that, he drifted towards the 'advertising' style, before finally landing at DC where he did tons of great covers. 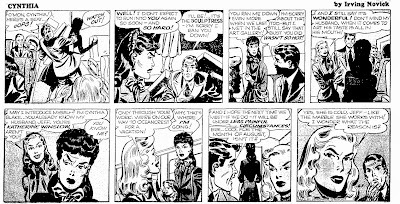 Truly a great and solid artist (if not an artistic pioneer), he is well remembered by the fans. 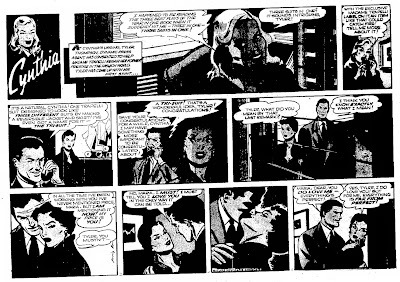 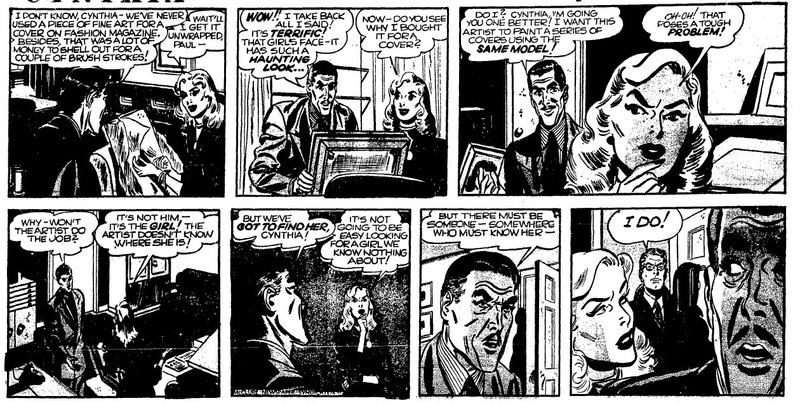 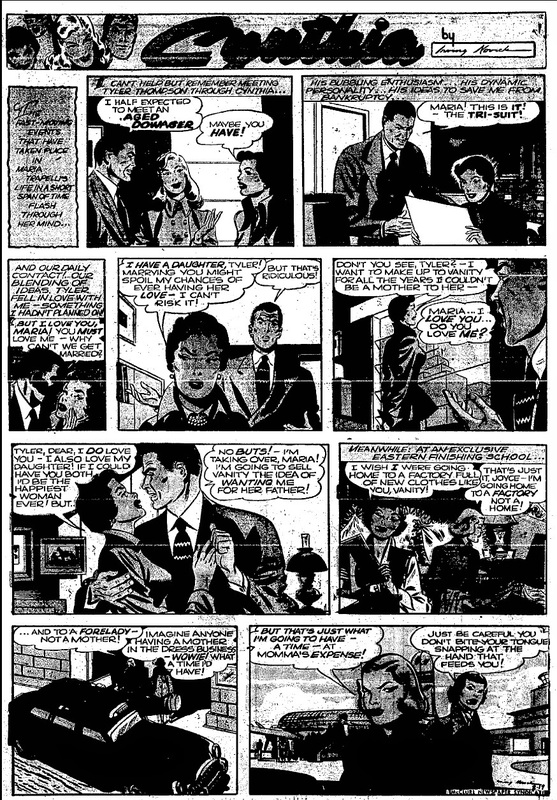 I have been collecting samples from Cynthia here and there (including it's successor Roger Lincoln, which was drawn by Novick as well, before it was taken over by Milt Luros) from the start of this blog, but it was only recently I came across a couple of color Sundays, which are incorporated between all the black and white scans that follow.